Nancy Bridges has an infectious laugh and an incredible ‘never give up’ outlook on her life-on-the-road. I first met this Georgia lady on the day her 2006 40-foot Alfa See Ya Gold motor home almost tipped over at the SKP Park of the Sierras. 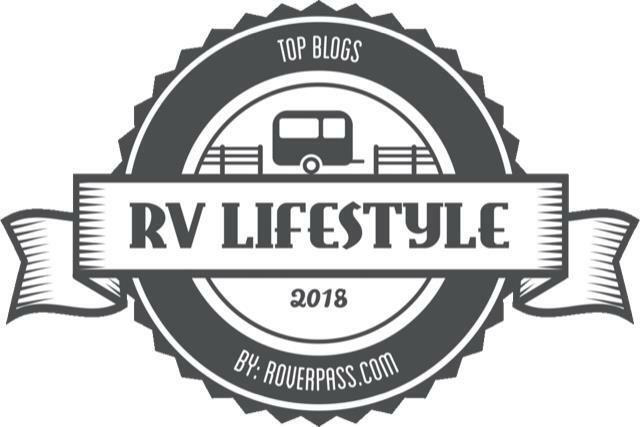 I soon discovered this was not her first RV misadventure. Back in 2008, just three months into her full-time RVing lifestyle, Nancy’s first motor home burnt down to the frame 90 miles from the closest town in Montana. “Quitting was never an option,” said Nancy. 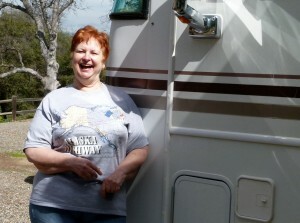 Read more about Nancy and her some of her RVing escapades by clicking on WomenRVers.blogspot.com. Photos: (Top) Nancy Bridges (Julianne G. Crane).